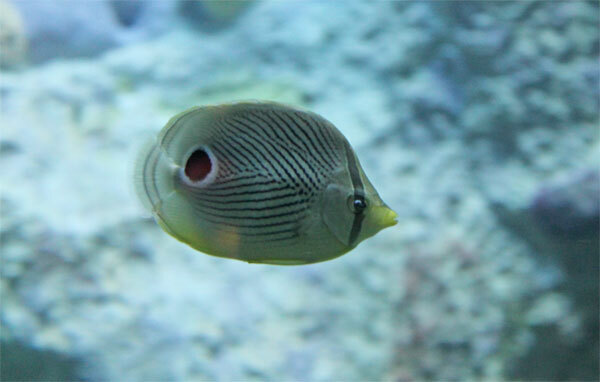 These small species are often territorial, and once they are introduced to the exhibit they will stake out a claim to an area of coral and defend it against intruders. Fortunately, their new place has plenty of cozy real estate. 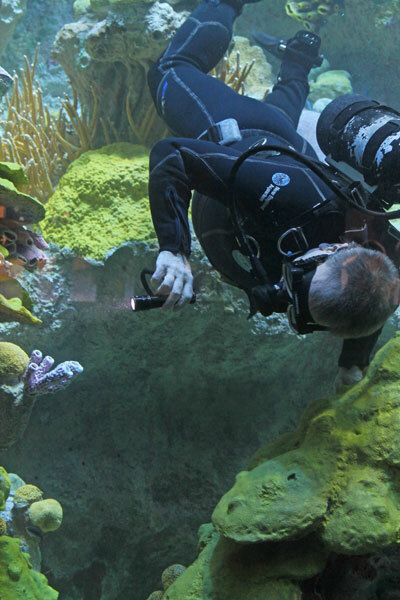 There are so many hiding places, in fact, that the divers have to use a flashlight to search the crevices so they can check up on the smaller fishes in the exhibit. Here's Dan getting a good look at some of the newly added wrasses. Better yet, this is some great news for visitors. These smaller species may be hiding, but the exhibit has been designed so their hiding places are often very close to the viewing windows. 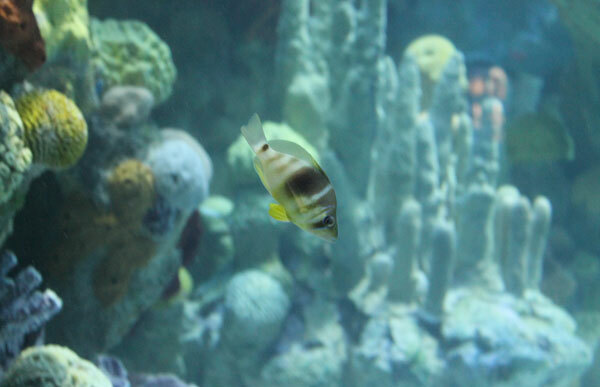 That means in addition to the bigger animals in the exhibit, you'll also get a close up look at some of the smaller fishes as you wind your way around the spiral. Compared to previous years, there are now more than twice the number of animals in the big tank, thanks to the added capacity for smaller fishes. 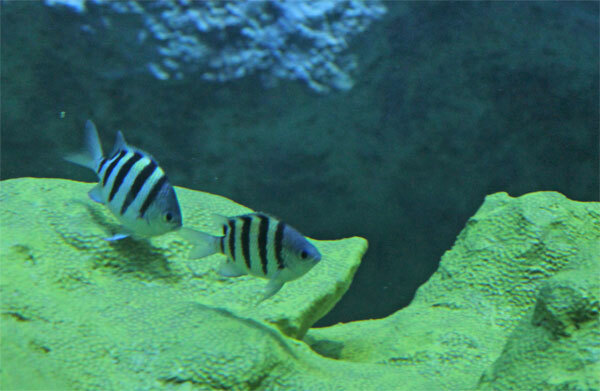 When you come visit the new exhibit, you'll also notice that the viewing windows are bigger, giving small children an easier view of these little fish zooming around their new home. And don't forget too that we have interactive iPads around the GOT spiral to help you identify the fish you are looking at! 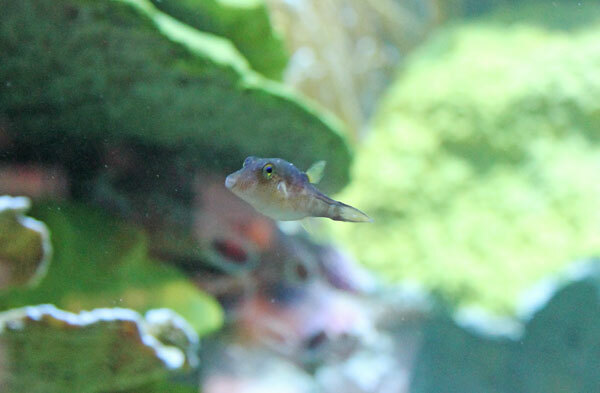 Enjoy this up-close and personal video featuring a number of our smaller fishes. Find out how these hiding places were created. Head to the artist's studio to see coral construction in the midst of the Aquarium's transformation last winter. 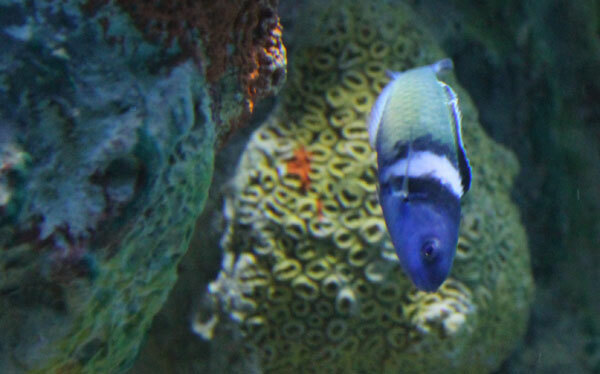 And see pictures of the corals being installed in the dry Giant Ocean Tank in the spring.